It’s the most wonderful time of the year. Well… wonderful but also incredibly busy! There are cookies to bake, holiday crafts to create and presents to buy and wrap. Check out this gift guide, which I hope will make it easier to find perfect presents for the little ones. Wee Can Too is one of our favorite sources for eco-conscious and kid-friendly art supplies. 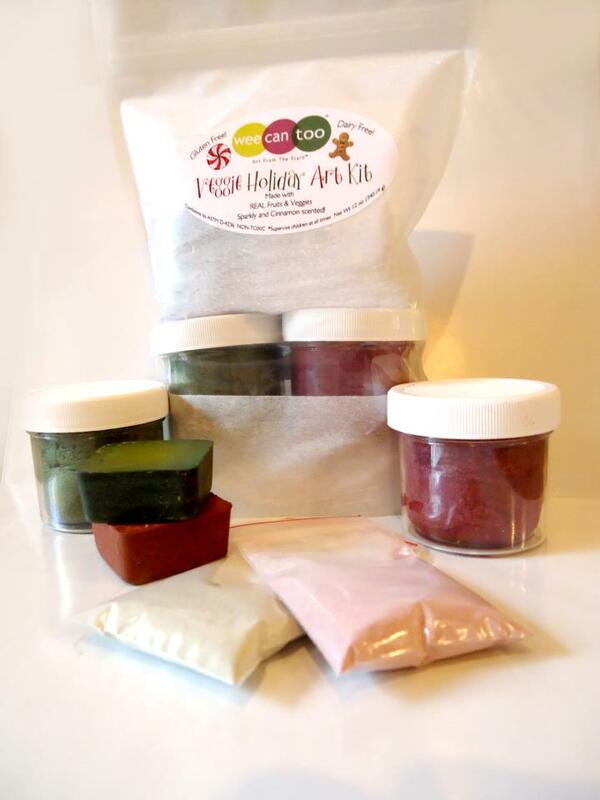 This year they have outdone themselves with their Veggie Holiday Art Kit, which includes sculpting dough (bonus: it shimmers and smells like cinnamon! ), crayons and tempera paint. Little M has spent countless hours with Wee Can Too’s paint covering everything from his fingers to his elbows, which always makes me so relieved that their ingredients are completely natural. Every time he sees the Veggie Holiday Art Kit, he immediately wants to dive right into another art project. I added a few holiday themed cookie cutters (snowflakes, gingerbread man and candy cane) so we could make shapes out of the scented and sparkly sculpting dough. This art kit is a surefire winner for any wee artist, $30. 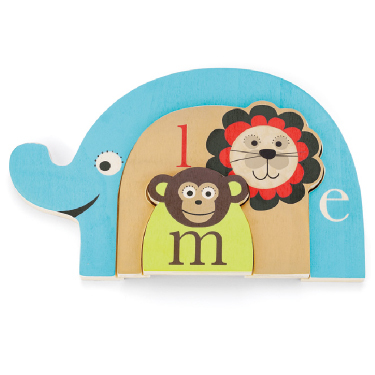 Skip Hop has just introduced an exciting new line of wooden toys! Little M has this Nesting Animal Puzzle and loves it, he spends so much time taking the pieces apart and putting them together (and taking them apart and putting them back together). 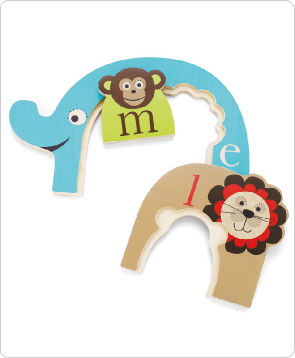 Here’s a tip, you can even incorporate these into your next art project, let the kids trace the animal outlines of the monkey, lion and elephant and then color in with crayons, $15. 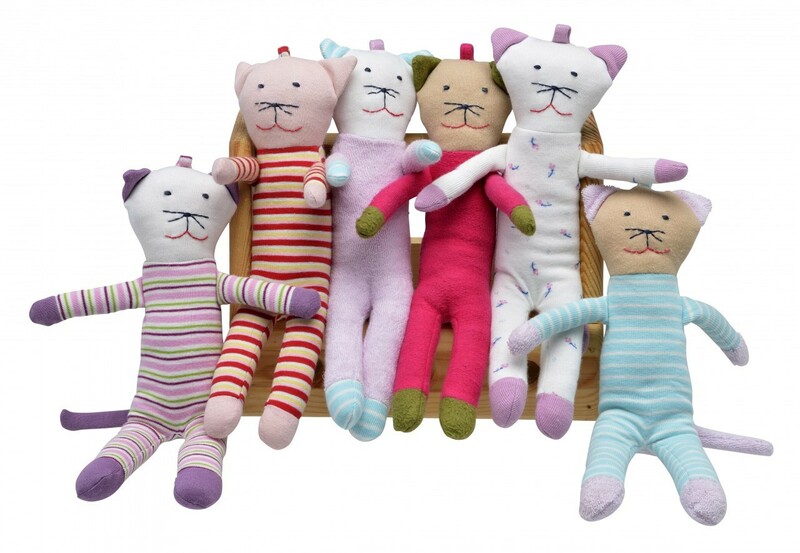 These unbelievably cute scrappy cats and dogs from Under The Nile‘s toy collection might just be the most adorable, eco-friendly and cozy finds we have come across in a long time! I have written about my love of Under The Nile here before. 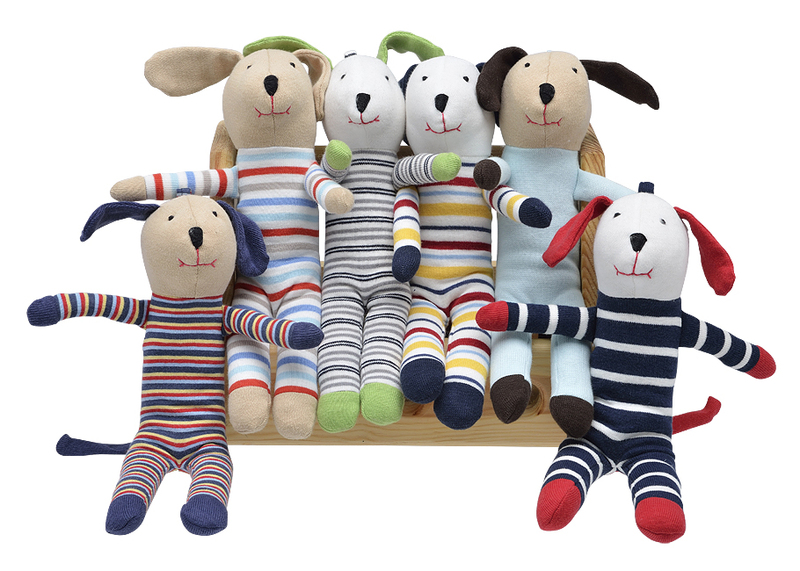 These toys are made from 100 percent Egyptian organic cotton fabric scraps that are left over from clothing production. Little M takes his scrappy dog everywhere, it’s the perfect size for toddler hands to hold and hug, $14. 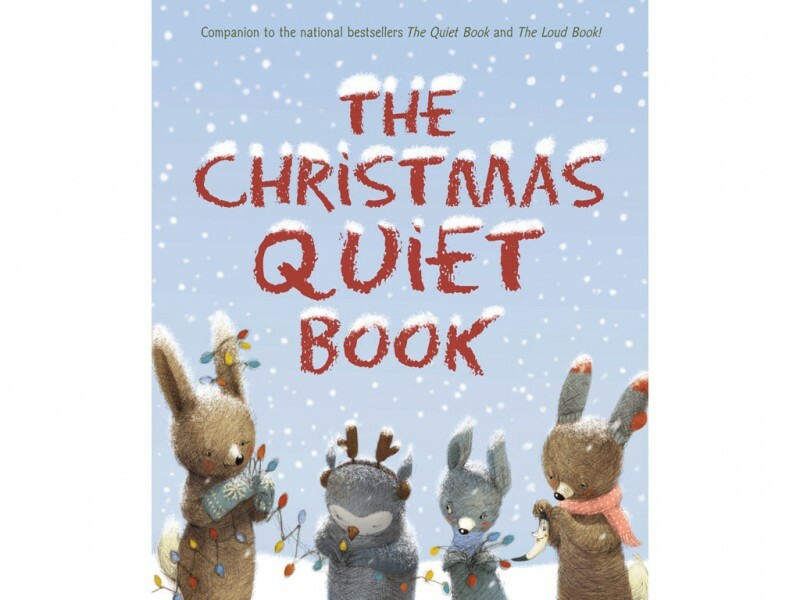 In The Christmas Quiet Book author Deborah Underwood and illustrator Renata Liwska paint a picture of the many kinds of quiet that we find during this season, like “snow angel quiet,” “hoping for a snow day quiet” and my personal favorites “searching for presents quiet” and “getting caught quiet.” This beautiful new book, in a similar format to The Quiet Book, provides a welcome respite from the frantic pace of the holidays, $12.99. When Little M and I are at home, we usually have music playing in the background. 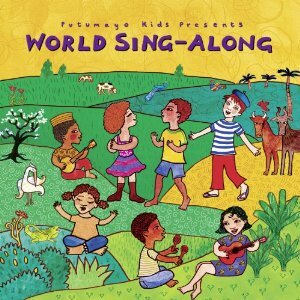 I recently came across the celebrated children’s record label Putumayo Kids and Little M and I have been singing along to the catchy songs from their new World Sing-Along album almost every day. The songs represent countries including Brazil, Switzerland and China and feature a wide range of genres such as calypso, cumbia and pop. What a great way to introduce kids to other cultures, $14.98. 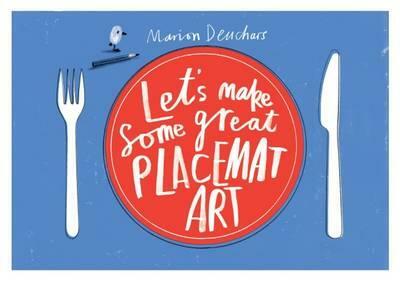 In Let’s Make Some Great Placemat Art, kids can keep busy during dinner by drawing, decorating and designing on these large sized mats. When the meal is served, they can tear the paper out of the book for the perfect custom placemat, $12.95. Fantastic ideas! Love reading your blog posts. Keep up the good work! This was a great post. My kids are grown and I do not have grandchildren yet, so I am completely out of touch on good gifts for little ones. I got some wonderful ideas here. Thanks.